It wasn't that I was looking for a writing book to read. But I find that I'm a lot more open to writing books or writing advice or writing tips these days. I blame this entirely on joining the AbsoluteWrite community, where I spend my days geeking out on writing topics. 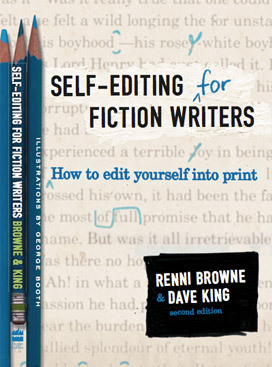 Several posters on AW recommended Self-Editing for Fiction Writers, 2nd edition, by Renni Browne and Dave King. Not only did I find the book helpful and insightful, it's also the first book I've highlighted on my Kindle. I'll go back and do the writing exercises in there some other time. I might buy the hard copy for that. Having to flip back to the chapter and then go back to the writing exercises feels like so much more of a chore on a Kindle. Narrative summary has its uses, the main one being to vary the rhythm and texture of your writing. Scenes are immediate and engaging, but scene after scene without a break can become relentless and exhausting, especially if you tend to write brief, intense scenes. If you have some plot development that you want to come as a surprise, spend less space on it before you spring it on your readers. I'm definitely going to buy this book. Thanks! Let me know what you think of it. It definitely gave me things to think about. Definitely get it in hard copy. It was a quick read on the Kindle, but I find having to flip and back and forth on it to be annoying. I also enjoyed Plot & Structure by James Scott Bell and The Complete Handbook of Novel Writing. I liked them because they have practical tips instead of too much theory. I'll have to get the hard copy so I can highlight and mark up to my heart's content. 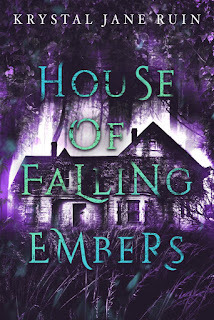 Do you have any other go-to writing books? Now that I've found good writing books in the sea of writing book, I'm curious about others.